We have an ever growing Chinese customer base in the UK using Girl Meets Dress to borrow dresses for all their events. Not surprisingly they are very familar to the hire fashion rental service! We loved reading this article below about the main fashion hire companies who have taken the Girl Meets Dress hire innovation and made it their own for the Chinese market and demographic! Researching circular business models in China and curricula in higher education more broadly. “Around the world, fashion has been getting faster. Nowhere is this as noticeable as in China. 15 years ago, clothing utilisation— the average number of times a new garment is worn — was around 200, the same as the rest of the world. Since then, this number has fallen by two-thirds, to just 62 wears. This is a big deal: apparel accounts for more greenhouse gas emissions than flights and maritime shipping combined, is a huge source of ocean microfibres, and involves hazardous substances that affect the health of both textile workers and wearers of clothes. This is a system ripe for disruption. A new model for the fashion industry is emerging, and sharing is one component. The sharing economy has gained considerable traction in China, and by 2025 it is expected to account for 20% of GDP. China’s large population of mobile-savvy consumers have made the country into a testbed for innovations enabled by mobile pay. Add that to delivery fees up to five times lower than in the US, and China is well placed to make fashion more circular through shared wardrobes, which keep items in use for longer, and require fewer garments to be made. You may have heard of New York-based Rent the Runway (described as a ‘Netflix of clothes’), but have you heard of these six Chinese players? 1. MsParis (女神派) came online as one of the first Chinese fashion rental platforms in 2014. Today, it has 7m registered users and the largest wardrobe in China. Similar to Rent the Runway, it initially focused on rental of prom dresses and similar special-occasion garments. Today, however, it includes a larger portfolio of more everyday clothes available through a subscription service. The company offers a few different options, but the standard subscription service costs $US 50/month. As there is no limit to how many garments you can order per month — only per shipment — you can keep rotating the clothes after each use. In December 2018, MsParis launched a new offering for customers, enabling the rental of brand new clothes. After their first use, these garments become part of the standard subscription offering. This could could be a gateway for those wary of sharing, overcoming initial doubts around the condition and hygiene of rented clothes. 2. Y-Closet (衣二三) Another big player, Y-Closet is slightly more expensive than MsParis, with a monthly subscription fee of $US 75/month, and a customer segment that leans towards the higher-end. Notably, as much as 30% of their profits come from sales through items that its users have purchased following a rental period. While this additional source of revenue is undoubtedly a boon for the company, this practice means that a proportion of its clothes are in fact not shared, but owned outright, which could lead to them being underused, as in the traditional sales model. For more information about Y Closet, see the case study from the Ellen MacArthur Foundation. 3. YEECHOO is a rental platform based in Hong Kong. Unsurprisingly, it is smaller with around 15,000 active subscribers, and it does not have what some of its bigger rivals see as their core competence — its own dry-cleaning facility. 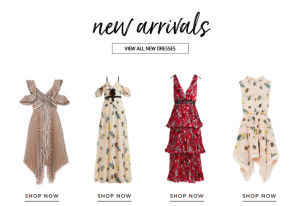 Like Rent the Runway and MsParis, YEECHOO started with special-occasion rental, and only later expanded to also include a subscription model. At $US 100/month, it reflects the population of Hong Kong (largely high-wage white-collar workers), and is more upmarket than its much larger mainland counterparts. Undeterred by bigger rivals, YEECHOO has started to look beyond Hong Kong, to the mainland market. 4. Starluxe (星洞) is a rental company that specialises in the high-end segment of fashion, with members categorised into three segments of $US 120, 240 or 360/month, depending on the items rented. Recognising that luxury items are becoming increasingly expensive, and that fashion is moving at an ever faster pace, Starluxe saw an opportunity. Most users are between 25–40, years old, and the focus is on the largest cities in China, in which it currently finds more than 10,000 users. Beyond garments, watches and suitcases are included too, with items not rented out in two months going to the second-hand market. However, as the rotation of products is only 16 months, there are questions around how high the usage rates can be. 5. Yiqidai (一起戴) Although some of the bigger players offer both handbags and jewellery as part of their assortment, others specialise, such as jewellery platform Yiqidai. For those curious but unconvinced, it lets them try items for just over a dollar. While Yiqidai is one of the leaders in this field in China, it faces many competitors, such as Vincent & Aaron (VA文森艾伦), Crazy Moles(疯狂鼹鼠), and Astrologie (梵星学) to name a few. Although rings or necklaces may seem like an inconsequential part of the fashion world, these items can have a disproportionate impact. Around ten years ago, headlines were made over reports that one wedding ring causes 20 tons of mining waste. 6. Dou Bao Bao (抖包包) Another more niche sharing service is Dou Bao Bao, which lets you share luxury handbags. The deposit, at 30–50% of the price, is hefty, but the actual rental fee can be as low as $US 15 for some bags. Dou Bao Bao differentiates itself from most other platforms in that it makes use of people’s existing wardrobe inventory. In other words, the items that are available have already been produced and bought, whereas most other platforms don’t offer the option of renting the unused items found in people’s closets. Baozupo and Youmiao are two competitors with similar business models, but the biggest player globally is US startup The Real Real, which resells a broader range of luxury goods through this consignment model. It’s part of a growing trend: according to Threadup, resale of apparel is growing 24 times faster than traditional retail. Clothes sharing is becoming an increasingly competitive market. Beyond these six platforms, there are others, including those that have already tried and failed, like Dora’s Dream (多啦衣梦), which opened in Chengdu. To cater to a segment of people found there and in other smaller cities with a lower average income, it set monthly prices low (starting at $US 15/month), and expanded fast. However, its rise was as fast as its fall. The same could be said of Meikka, a company similar to Dou Baobao, that went bust in 2013. Global companies also see China as a lucrative market for clothes sharing. San Francisco-based Le Tote recently entered the Chinese market with plans to expand. Other companies could follow suit, exploiting the gaps in the traditional ‘one time sale’ model, developing novel sharing concepts for specific uses. There’s Vigga, a Danish subscription-based rental company for children’s clothes, a segment for which it is difficult to increase usage rate without sharing. Similarly, another potentially interesting segment for such models is pregnant women. Moreover, another example of a company China does not have an equivalent of is Tulerie, an invites-only platform. Users become part of a sort of friendly club that, supposedly, circumvents the barrier that you are sharing clothes with complete strangers. Perhaps because of this congenial atmosphere, an additional perk is the absence of membership fees and deposits. More research is needed to figure out how the usage rates for shared or rented garments compare to purchased clothes. Until then, a share of agnosticism around which model is superior is warranted — be it rental, subscription, or consignment. While these models may prevent some impulse purchases, rebound effects could include more transportation, washing, or packaging. With the option to buy clothes already available as a bolt-on addition through some of today’s platforms, customers may end up purchasing clothes on top of participating in a rental platform, seeing these models as way to “try first, buy later”. Regardless, low-hanging fruits remain for these companies, such as cutting excessive plastic packaging and sourcing more durable garments from safe and renewable materials. As part of Make Fashion Circular, the Ellen MacArthur Foundation outlined three essential components of a thriving fashion and textile industry. As well as business models that keep clothes in use, materials should be renewable and safe, and solutions that turn used clothes into new clothes need to be further developed and scaled. So while the impact of renting and sharing clothes could be profound, it’s not the sole answer to the problems facing the fashion industry.